The Best of Teacher Entrepreneurs III: Editable Planner in Word Document FREEBIE! Get your day organized! 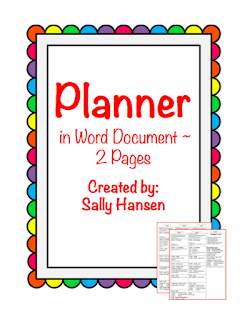 This teacher/administrator weekly planner is in Word Document to modify. Fits nicely on a clipboard.